Your machine room stays spotless, since all components are mounted inside the tank. 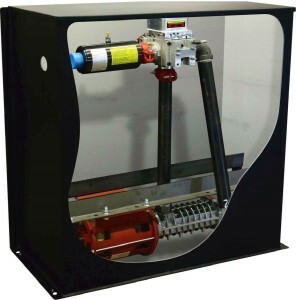 The MEI submersible power unit is small enough to fit through most machine room doorways. Silencer is mounted inside the tank.